Brite Divinity School Community at prayer for Mollie Olgin and Mary Chapa in Friday’s Prayer Vigil held on the school’s Memorial Garden. Fort Worth, Texas – Mollie Olgin, 19, and Mary Chapa, 18, were remembered Friday by a Divinity School community, and their families and friends were prayed for in an outdoor Prayer Vigil on the school’s campus. 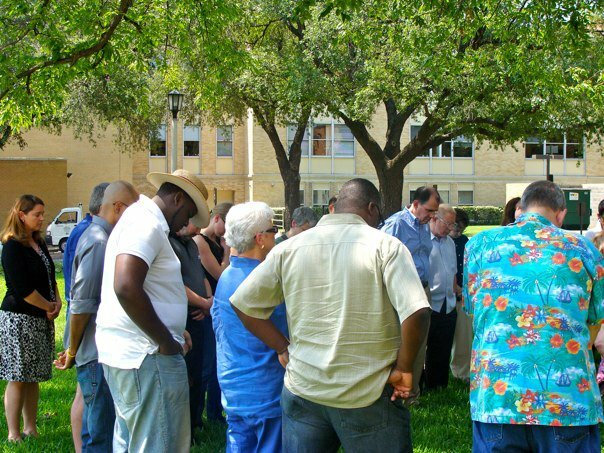 Brite Divinity School gathered in Memorial Garden to pray for the recovery of Mary Chapa who remains in intensive care after being shot in the head, and for God’s blessing upon her girlfriend, Mollie Olgin, who died from her wounds. The horrifying attack took place on the night of June 9-10 at a Texas State Park in Portland, Texas, on the Gulf Coast. Police have not identified a suspect in the shootings yet. The motive for the attack remains unknown, and police are downplaying a possible hate crime aspect. The likelihood that Olgin and Chapa were randomly chosen for the assault, however, is very slim. Portland Police have suggested that this case bears the hallmarks of a “targeted attack,” though there is no evidence of robbery, either. “We believe in a God whose mercy and justice is without end. In the name of that God, we offer comfort to those who mourn and are outraged over the vicious attacks committed against two young women, Mollie Judith Olgin, 19, and Mary Christine Chapa, 18, last weekend in a Portland, Texas park. This incident follows other acts of violence such as the racist and homophobic hate graffiti in Arlington earlier in June. Such acts perpetrated against women and men in our country because of who they are, who they choose to love, or because they were in the wrong place at the wrong time and someone took offense to their existence, reminds all of us that we live in a world that is dangerous to the physical, emotional, and spiritual well-being of many of us. We invite churches and pastoral leaders to speak out against this kind of injustice and violence, in the name of God. Often in our country, the name of God is used in our communities, in our churches, and from our pulpits to condemn or – at the very least – to encourage non-support of those who self-identify as lesbian, gay, bisexual, or transgender. 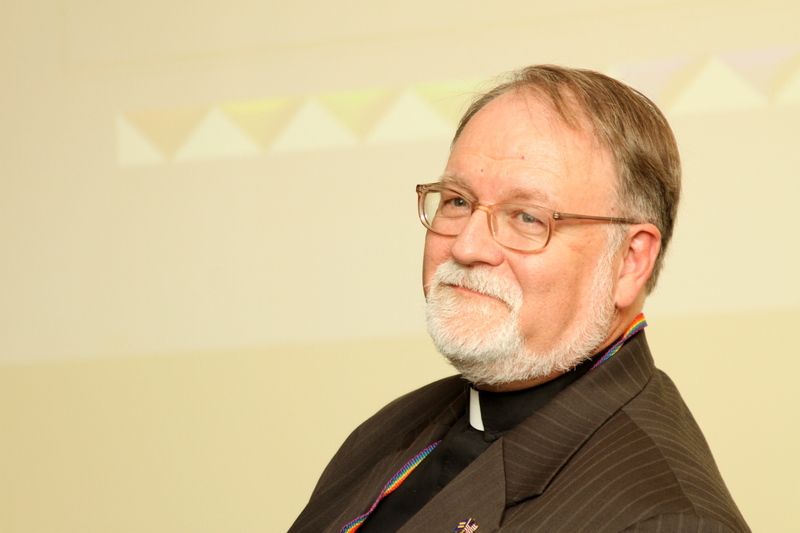 Erroneous biblical interpretation connects with fear in ways that make it difficult for LGBT persons to flourish in our churches and in our communities. Hurtful and harmful rhetoric offered by some within the Christian community contributes to the likelihood of violence and reinforces in the minds of some that silence and closets are the best options for their lives. The result is that faithful members of the LGBT community continue to live in fear in their communities and hesitate to speak out on their own behalf or on behalf of others. Members of TLBG communities often avoid our churches because their souls are damaged by the perpetuation of silence or the messages of intolerance and sometimes hate. Thank you for joining our commitment at Brite Divinity School to foster the life-giving and life-affirming grace of God in our communities. If there is any way that we can support the work in your church or community, please do not hesitate to call upon us. Thanks be to God for your witness.